Barrister and former Government and regulatory lawyer, with criminal, regulatory, management and prosecuting experience. Ros led and directed a Government Department. Has experience of working at high level in European Commission. Chairs tribunals and has been a non-executive director of three Government agencies and departments. Writes and presents and lectures extensively, mostly on financial crime and business ethics. 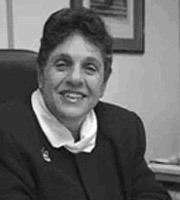 She was formerly the Director of the Serious Fraud Office, from 1997 to April 2003. She was Chairman of the Fraud Advisory Panel (2003 – 2014) and was previously general counsel and an executive director for 10 years at the Securities and Futures Authority, one of the principal City financial services regulators. Prior to taking up that appointment, she was an Assistant Director of Public Prosecutions at the DPP's Department, where she worked for 18 years, after five years in practice at the Bar. Current roles: Complaints Commissioner, London Metal Exchange (2010 - present); chairman of disciplinary tribunals for CIMA, AAT and National Register of Public Service Interpreters and member of the Regulatory Board of ACCA. Other: Patron, Fraud Women's Network. Member, Bar Council 2000 - 2003; Chairman of Bar Council Employed Barristers Committee: 2001 - 2003; Master of the Bench, Middle Temple (elected in 2001). Reader, 2010. Chairman Scholarships and Prizes Committee 2004 - 2008 and member of Executive Committee 2004 - 2008; member of Scholarships and Prizes Committee, 2001 - 2004 and co-opted member from 2008 - present. Regular member (trained) of interviewing panels for Middle Temple scholarships and prizes 2001 - present. Vice-President of BACFI (Bar Association for Commerce, Finance and Industry). 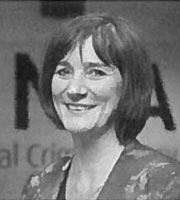 Lynne Owens took up post as the Director General of the National Crime Agency (NCA) - a PUS graded position - on 4 January 2016 following a 27 year career as a police officer, serving in 3 forces. The NCA leads the UK’s fight to cut serious and organised crime by continually developing the best intelligence picture, investigating those offenders operating at the high end of high risk and developing and hosting new capabilities to respond to rapidly changing threats. She is a member of the Government’s National Security Council and chairs the National Strategic Tasking and Coordination Group, ensuring an effective national response to priority threats, including Child Sexual Exploitation and Abuse, Modern Slavery and Human Trafficking, Money Laundering, Cyber Crime and the illicit supply of firearms to the UK. Lynne was awarded the Queen’s Police Medal in 2008 and the CBE for services to policing and criminal justice in 2015. 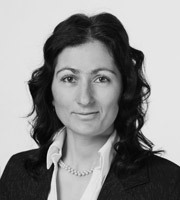 Toni is a fraud prevention specialist and management consultant who provides strategic and advisory services to FTSE 100 organisations relating to all aspects of fraud prevention and management. Toni is also the founder and Chairwoman of the Fraud Women’s Network, which celebrated its 10th Anniversary in 2017 and was listed as one of the Awesome 100 Networks and shortlisted as Inter-Sector Network of the Year by Inclusive Networks. In her spare time, Toni mentors many women in various disciplines including cyber security and fraud prevention and continues to drive the Fraud Women’s Network to support women working in the arena. 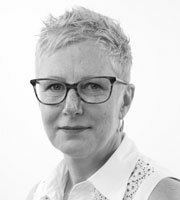 Prior to the merger Katy was Director of FFA UK, having worked on fraud at the centre of the industry in various roles for over 20 years and during that time has been instrumental in building the collaborative work on fraud from its start in the early 1990s to the level it is today. Highlights include the establishment of the Dedicated Card and Payment Crime Unit (DCPCU), the setting up of the Financial Fraud Bureau with its Fraud Intelligence Sharing System (the industry’s financial fraud intelligence hub), and the launch of the nationwide Take 5 fraud awareness and behaviour change campaign. 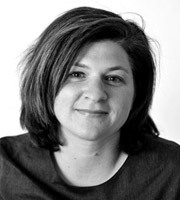 Katy is co-founder and Deputy Chair of the Fraud Women's Network. The wider Economic Crime team within UK Finance also encompasses advocacy and policy formulation in fraud, financial crime, sanctions, anti-bribery and corruption, and cyber. Shelley joined MasterCard in 2005 after having managed the fraud and operations department within Switch for the previous 8 years. Prior to this, Shelley worked as a fraud analyst in the Birmingham area for both Document Evidence Ltd and the West Midlands Police Fraud Squad. Currently working within a small team, Shelley's role sees her creating innovative solutions to close identified fraud gaps, setting the strategic direction for fraud prevention within the Scheme and providing support, consultancy and training to MasterCard customers, Law Enforcement and Retailers in 10 countries across Europe. Shelley also represents MasterCard on various UK and International Committees and is a valued member of the International Association for Financial Crime Investigators (IAFCI). Kathryn is a specialist in civil fraud, heads the Firm's Fraud Defence Group and is renowned for the successful pursuit or defence of serious fraud allegations. The hallmark of her practice is comprehensive strategic advice to anyone facing a civil claim while being investigated at the same time by prosecution agencies, Inland Revenue, regulators or employers. A testimony to her skills is the number of highly sensitive cases she is called upon to deal with. Some examples that can be mentioned are: advising a City of London banker in defending civil proceedings brought by the Bank to recover substantial bonuses paid by the Bank for alleged misconduct, deceit and breach of contract and in the parallel investigation by the FSA. Kathryn recently led teams of international lawyers in advising several City of London bankers in proceedings brought by the overseas regulators. She is a director of the Fraud's Women's Network (FWN), a co-founder of the Firm's Criminal Law Panel and has been a Partner since 2004. Michelle is a senior marketing professional with a proven track record in developing innovative ways to generate new business and in actively managing the entire marketing mix to build lasting business relationships. Working for strong financial and service brands, Michelle has delivered multi-faceted and highly integrated campaigns and achieved high performance lead generation and business winning campaign capability. Michelle is the owner of Parkes Marketing; working with organisations such as the Open Identity Exchange for project and marketing management. Hannah is a commercial litigator who specialises in representing individuals and corporations in relation to serious allegations of fraud and misconduct. 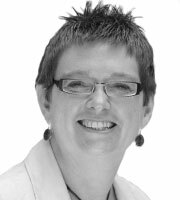 Hannah has particular expertise in advising in the context of business rescue and formal insolvency proceedings. Hannah has also built a successful practice in providing clear and practical advice on asset recovery and asset protection both for creditors and debtors. Hannah frequently acts for directors particularly in relation to disqualification proceedings or allegations concerning delinquent business affairs including claims for wrongful or fraudulent trading. Hannah also acts for insolvency practitioners, both pre and post-appointment, bankrupts and companies subject to debt recovery. Hannah is a member of the Young Fraud Lawyers Association (YFLA), Fraud Women's Network (FWN) and Professional Women's Network. Sarah Burns heads up Prizeology, a prize promotions company which runs prize draws and competitions and works with social media influencers on behalf of agencies, businesses and brands. She has two decades of experience in prize promotions and is committed to raising consumer awareness of all forms of fraud, but particularly prize draw scams, as well as improving standards of best practice and compliance within her industry. She is active on social media and blogs regularly about prize draw scams, as well as co-ordinating national anti-scam campaigns. 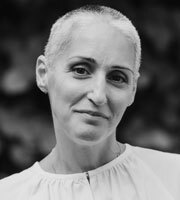 She has been a board director for the Institute of Promotional Marketing and is a National Trading Standards Team SCAMbassador. Gaby is Assistant Director, Compliance & Process Management, at Cifas. Having spent her career to date in fraud prevention, she worked first in a retail finance company’s fraud department where she helped to develop and then manage their fraud prevention strategy during the launch of their retail card product. Gaby joined Cifas in 2004. Since then she has worked in various capacities across the organisation and now leads the team responsible for ensuring compliance across the Cifas membership, training delivery and internal process improvements. Over the 17 years Gaby has worked in fraud prevention, she has developed an in-depth understanding of the fraud challenges facing UK organisations and the essential tools required to identify and prevent fraud losses. She has served on a number of industry groups and given presentations on fraud matters to a wide range of organisations both nationally and internationally. 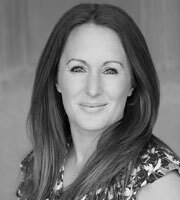 Kerry is a Manager in the Forensic Services team at Smith & Williamson, a Top 8 UK accountancy practice with an investment management and private banking house. Kerry has more than ten years of experience in the field of forensic accounting and financial crime investigations. During this time, Kerry has gained experience on financial and regulatory assignments, international arbitration, verification missions worldwide, litigation support, due diligence and asset tracing. Kerry has advised and assisted clients with enquiries and investigations instigated by HM Revenue & Customs including alleged manipulation of VAT and PAYE and under-declaration of income. 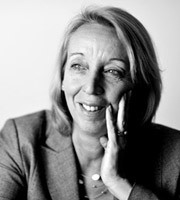 She has been involved with a number of regulatory investigations which have included a wide array of assignments conducted on behalf of the Jersey Financial Services Commission, European Commission and other International Funding Institutions. Some of Kerry’s recent cases have involved the investigation of a multi-million dollar fraud within a Sovereign Wealth Fund stretching back 30 years, quantifying the losses alleged to have been suffered by a financial services company as a result of negligence by a Top 10 UK accounting firm and the investigation of bribery and corruption allegations brought by a Sovereign Wealth Fund. Kerry is an exceptional linguist, speaking a number of languages including Bulgarian, Russian and Macedonian, and these skills have proved invaluable in previous forensic engagements, based both in the UK and overseas. Kerry is an integral member of Smith & Williamson’s Russian and CIS forensic service offering and she attends all the leading legal conferences in Moscow and St Petersburg. 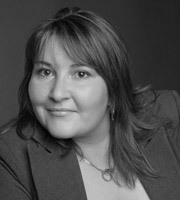 Kerry is an ICAEW accredited forensic accountant, a member of the Association of Certified Fraud Examiners and the LCIA European Users’ Council, and an associate member of the Chartered Institute of Arbitrators in addition to being an active member of Arbitral Women and the British Russian Law Association. 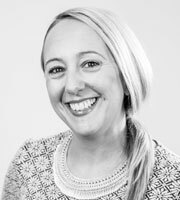 Sarah joined UK Payments (formerly APACS) in 2001 having previously worked as an underwriter/credit controller at Close Brothers Ltd. She has over 17 years' experience in the financial services industry with the last thirteen having been within different areas at UK Payments. Sarah has an in depth knowledge of payment fraud prevention and risk management and is responsible for planning and management of FFA UK website development and social media strategy. She facilitates the Fraud Control Unit (FCU) relationship with key internal and external communications providers covering all FCU communication strategy activities. This includes delivery and quality assurance of materials, communications advice to project managers towards the identification, planning and delivery of fraud prevention related education and awareness projects and initiatives. 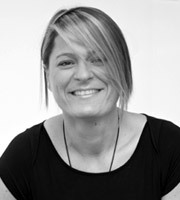 Sarah is also guardian of the FFA UK brand, ensuring enhancements and appropriate use of the brand by all stakeholders. She manages a range of budget activities on behalf of the Unit and contributes towards the Industry Strategic Threat Management Process as required for the purpose of driving forward the payment industry fraud prevention strategy. Sarah works independently and alongside internal UK Payments colleagues and in consultation with Members, card schemes, law enforcement agencies, government, trade associations and retailers. Pat has worked in the Telecoms Industry for over 30 years. Initially with BT and 24 years with Virgin Media & associated companies. Pat started her career with Birmingham Cable Ltd in Customer Services, progressing in her role to Senior Credit Controller and then into the Fraud Manager role since 2004. During this time she has also gained experience in Risk Assessment & Revenue Assurance. She has most recently Joined Yell.com as a Credit controller. 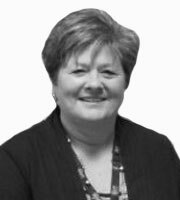 Pat is also an active member of a number of Fraud Forums including the Fraud Women's Network (FWN) Midland Fraud Forum (MFF) & Telecom UK Fraud Forum (TUFF) having served 2 terms as Chair Person and current Director of the Board of TUFF. Pat has a wealth of knowledge and experience dealing with telecom fraud, subscription fraud, payment fraud and ID theft. She received a TUFF award in 2008 for her contribution to the ongoing fight against telecommunications fraud and was recognised by the FWN with the Stella Walsh Award in 2012 for Long Term Commitment for Preventing Fraud. Her team was shortlisted in 2014 for the Credit Today awards for Fraud Prevention Team of the year and shortlisted for Utilities & Telecoms Awards for Telecoms Team of the year in 2012.